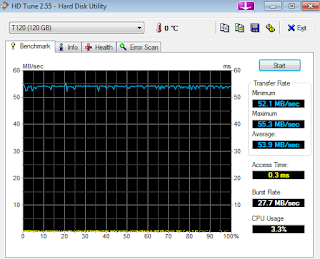 Intel GMA 500 Driver Optimized for MS Windows : SSD on US15 Platform : Is it a waste of money? SSD on US15 Platform : Is it a waste of money? SSD (Solid State Disk) is a recent technology that removed all mechanical part from storage unit (that mean less temperature,less power consumption,less noise and less risks of damnages) and replaces with flash chips. This solution is about 4x, or more, faster than a traditional Mechanical Hard Disk @7200rpm. Initially I was enthusiastic because in many US15 devices Hard disk are 5200rpm, but is not all gold that glitters! Somebody forgot to say that the performance depends from SATA port (mainboard connector for hard drive) so i have take a look at my port (some US15 devices have SATA 2). So I was still enthusiast,saying to my self:<<with a low cost SSD like Samsung 840 (80€ for 120GB) i will get the best from Sata port (2x quicker)>>.... but we are more unlucky! I've started looking for benchmarks and "SURPRICE - SURPRICE": i found three users with SSD's max file trasfer low rate problem: 60MB/s (with Corsair and OCZ). I've quickly thought:<<should be a ssd problem? or benchmark? ect,ect.>> but i wasn't sure and keep on my research. "The US15W chipset internally uses a PATA controller. 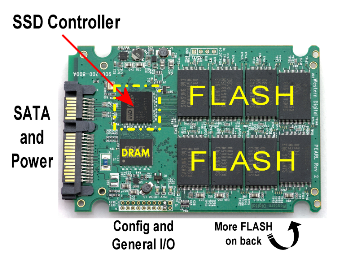 To connect to SATA drives, a bridge chip is used. 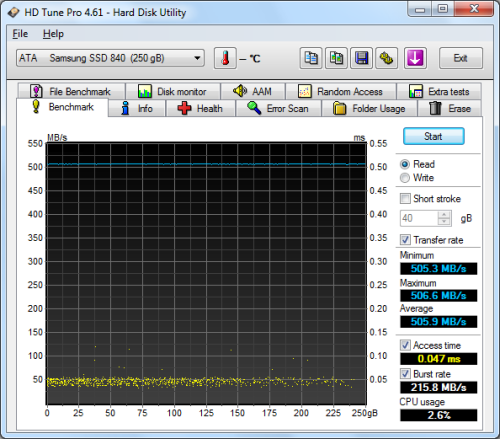 The drive annouces trim capability when queried by the Windows installer, but the bridge chip does not support passing trim commands to the SATA SSD drive, causing data transfers to the drive to fail." What typically happens when "data transfers to the drive fail"? If you are experiencing any of these symptoms, you need to disable TRIM in Windows 7. That's right: you need to DISABLE TRIM. Install a previous version of Windows, then install Windows 7 from that installation and finally disable trim support in the registry from a Bart PE boot CD/key twice during installation reboots. During the first reboot, boot into Bart PE, start regedit.exe, browse to HKEY_LOCAL_MACHINE, select load hive from file menu, browse to [SSD_Drive_letter]:\$Windows.~bt\System32\Config\ and load the file "system". Name the hive "temp" when prompted. Then browse to HKEY_LOCAL_MACHINE\temp\Controlset001\Control\Filesystem and change DisableDeleteNotification from 0 to 1. Repeat for any other Controlset00x. Then, mark the HKEY_LOCAL_MACHINE\temp node in the tree view and select unload hive from the file menu. Reboot and let it continue the installation. Let the installer finish the installation and delete the c:\Windows.old folder. ADD 01/Sept/2013: I've checked some benchmark,on dell mini/msi wind/asus 1101,with OCZ Agility 3 - Corsair SSD - and WD Blu @5400rpm. All these drives have the same file max trasfert limit to 60-65MB/s! PATA controller is real and confirmed by Intel SCH Datasheet (UDMA: max file rate 66MB/s). Fixing partition problem with align (cause i use win xp to install win 7 and because pata controller need IDE mode, no ahci support). Boring netbook! Results: Good time access 0.2 but as we know max file transfert is horrible due to pata controller. Not a "real" optimal upgrade. 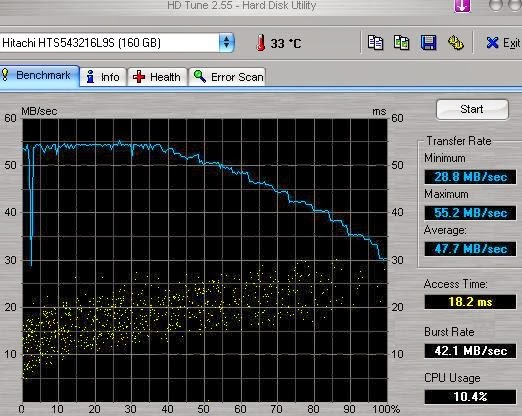 Hd tune: Burst rate totally incorrect with ssd. 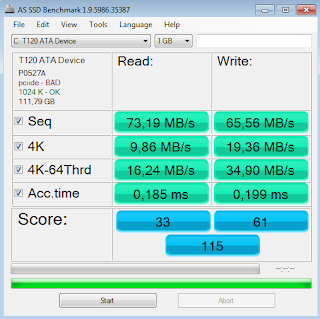 As ssd benchmark: pciide bad is correct because is not possible to activate msahci on us15 pata controller. REMEMBER. 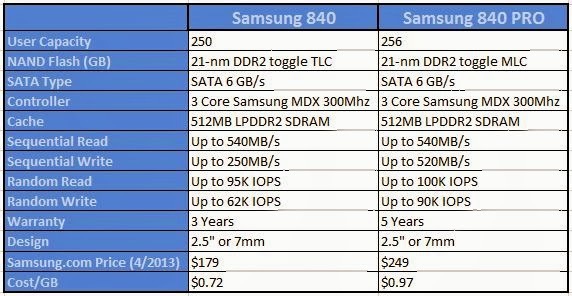 Don't waste your money for high-end SSD because you will not get more performance! Ho cambiato proprio ieri il vecchio seagate momentus 5400.6 del mio 1201ha con una ssd samsung 840 evo da 120gb (inizialmente stavo pensando a un sandisk più economico ma ho trovato questo in offerta a 80 euro). Che dire non mi aspettavo miracoli ma le differenze comunque ci sono, soprattutto nelle situazioni più caotiche. Davvero una delusione venire a sapere che l'interfaccia non è neanche una SATA 1 :( ad aver letto prima questo post forse avrei scelto diversamente. Le differenze ci sono di sicuro, ma a fronte di una spesa comunque non indifferente visto il valore del netbook.